Rules on gender stereotyping in advertising could change following an investigation by the Advertising Standards Authority, which has launched today. The ASA said the objectification and sexualisation of women in ads, as well as gender-specific marketing to children, were issues that had gained considerable public interest in recent years. It comes after last year’s ruling on Protein World’s "beach body ready" ad, which was deemed to be "not offensive" and did not breach the CAP code, despite receiving 378 complaints and causing a media storm when it appeared. 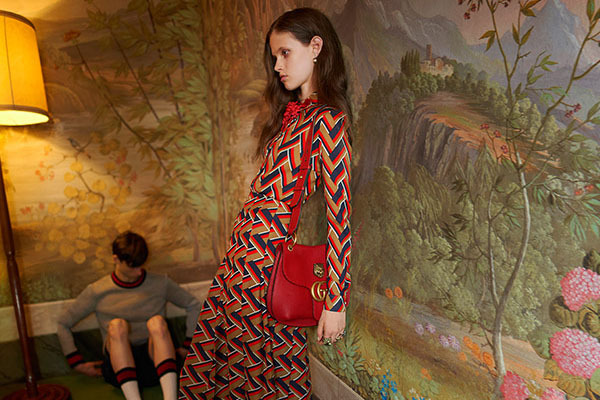 Earlier this month, the regulator banned an online ad for Gucci which featured a model who looked "unhealthily thin". In calling for evidence, the ASA said it will do three things: examine evidence on gender stereotyping in ads; seek views from a range of stakeholders; and commission its own research into public opinion. The project will report on whether the ASA is getting it right on gender sterotyping and whether a change in regulation is needed. Guy Parker, the chief executive of the ASA, said: "We’re serious about making sure we’re alive to changing attitudes and behaviours. That’s why we’ve already been taking action to ban ads that we believe reinforce gender stereotypes and are likely to cause serious and widespread offence, or harm. "And that’s also why we want to engage further with a wide range of stakeholders on the effect of gender stereotyping on society, including through our ‘call for evidence’."